DES MOINES, Iowa -- A single winning Powerball ticket matching all six numbers was sold in California and will claim an estimated $447.8 million jackpot, lottery officials said. California lottery officials say the sole winning ticket for the $447.8 million Powerball jackpot was sold in Sun City. The Lottery says on its website Sunday morning that the winning ticket was sold at Marietta Liquor & Deli in southern California's Riverside County, about 80 miles (128.74 kilometers) south of Los Angeles. Officials say the earliest the ticket could be redeemed is 8 a.m. Monday. The winner has one year to claim the 10th largest lottery prize in U.S. history, according to Powerball spokesman Randy Miller. Officials say the retailer where the winning ticket was sold will receive a $1 million "retailer bonus." 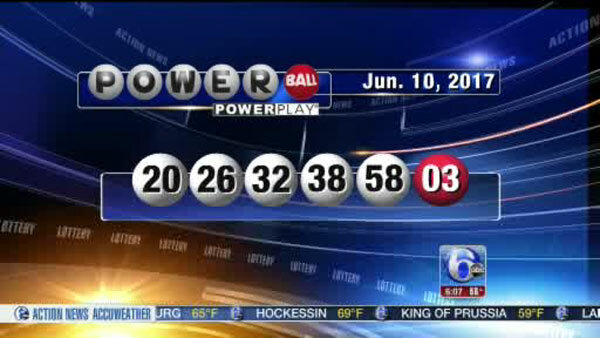 The lucky numbers drawn Saturday night were 20-26-32-38-58, and the Powerball number was 3. Miller said the estimated jackpot prize is based on a winner choosing an annuity, which pays off over 29 years. The cash prize would be $279.1 million. Both prize amounts would be before taxes are deducted. Before the drawing Saturday night the jackpot was estimated at $435 million. The jackpot had grown because no one had matched all the numbers since April 1.